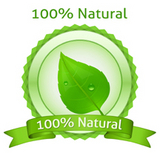 Gran Cucina Pesto Genovese is made with fresh 100% natural garlic and fresh 100% natural basil grown in the lands of Liguria - northen Italy. The Gran Cucina Pesto alla Genovese is made and cooked at the Gran Cucina big kitchen facility following a traditional recipe from past centuries and under the state of the art technology and food safety conditions. It is believed that the Genovese sailors used to gain strength after eating this pesto and went back to the sea to catch some more fish. Gran Cucina has been cooking Pesto Genovese for over 40 years. 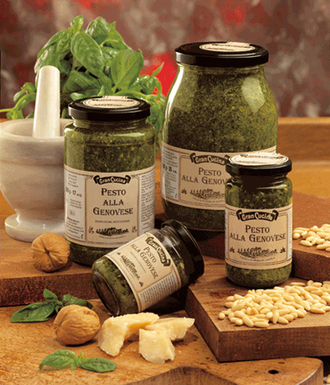 The Gran Cucina Pesto alla Genovese is ideal for pastas and can also be used as a fresh vegetable condiment for many gourmet cooking specialties. Try the best Italian Pestos in the market today: the Gran Cucian Pesto alla Genovese, the Gran Cucina Tomato Pesto and the Gran Cucina Pesto in Salsa today!